Already own in Sundial? Thinking of selling? Click here and read about current search trends & our web network. 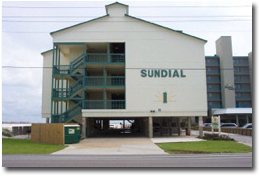 Sundial condominiums are located in the West Beach area, approximately 1.6 miles west of the Highway 59 intersection in downtown Gulf Shores, Alabama. The property features a BBQ area and outdoor gulf-front pool. The complex is composed of 24 two- and three-bedroom units ranging in size from approximately 1,000 square feet to 1,280 square feet. Sundial was built in 1985 and is conveniently located to numerous Gulf Shores amenities such as restaurants, shopping, bars, and other entertainment venues. If you have any further questions, need info, or would like to schedule a private viewing for Sundial condominiums in Gulf Shores or any other condo or property, please email info@condoinvestment.com or call (251) Area-Pro (251-273-2776) for immediate assistance. Increase your Sundial rental revenue with these helpful RENTAL TIPS. 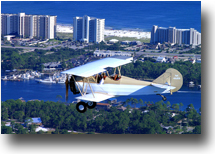 Find annual rental revenues for Sundial and all other Gulf Shores and Orange Beach condos. Click here for aerial photos of the Sundial condominium in Gulf Shores, AL. Gulf Shores, Alabama is a fantastic vacation locale offering activities for family members of all ages - from beautiful beaches, nature reserves, offshore & inshore fishing, championship golf courses, gulf coast cuisine to popular festivals and events. The city of Gulf Shores has been gaining national attention and vacationers from all over flock to this charming beach town. For those just learning about Gulf Shores , Condoinvestment.com is a great guide to discover what this town has to offer including real estate, local restaurants, upcoming festivals and events. We make searching Gulf Shores condos for sale extremely easy with pre-defined options, interactive maps, and high-definition aerial imagery. Narrow down your search with helpful filters such as price range, numbers of bedrooms, square footage, or by condominium name. Condos along the Gulf Coast region provide great opportunities for investors looking to produce rental revenue. Our site is a valuable resource to real estate for Gulf Shores and neighboring cities, providing annual revenue information for each condominium as well as prices of recently sold condos and closed dates.